Are You a Resident of Tampa and Looking for High-Quality Human Growth Hormone and Bio-Identical Hormone Therapy to an Affordable Price? 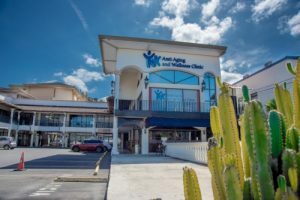 If you are living in Tampa, Clearwater, St. Petersburg, and the surrounding Florida´s areas and want access to affordable HGH, bio-identical therapy and anti-aging medicine, Anti-Aging and Wellness Clinic is your best choice. We provide personalized anti-aging medicine based on your needs. Cenegenics cost is significantly higher and the quality of our therapy is the same or higher than local clinics. Anti-Aging and Wellness Clinic is under the direction of Dr. Leslie Mesen, he is a US certified physician in Anti Aging Medicine and co-founder of Anti Aging & Wellness Clinic. Dr. Mesen is board certified by the American Academy of Anti-Aging and Regenerative Medicine. Thanks to his great job, Anti-Aging and Wellness Clinic has grown to four clinics in three different countries Costa Rica, Mexico and Panamá. Your can be sure that you will be attended by experts. Why HGH and Bio-Identical Hormone Therapy? Optimizing Hormone levels has many benefits like increasing muscle mass, skin tone, exercise capacity, energy, cardiac function; as well as improving cholesterol profile, cognitive function and sense of well-being. HGH also helps to lose weight and improve your rest time. The Anti-Aging and Wellness Clinic is the most experienced anti-aging medicine clinic in Central America. We are located in San Jose, Costa Rica; Panama City, Panama and Tijuana, Mexico. Local clinics like Cenegenics will charge thousands of dollars more for similar or lower quality of care than Anti-Aging and Wellness Clinic in Costa Rica. Genegenics cost can be even a 1/3 higher of Anti Aging & Wellness Clinic price. If you are living in Tampa, you may have other options for your anti-aging healthcare, however, similar clinics in the United States will make patients spend around $20,000 within the first year and many times it doesn’t even include high quality HGH. Our focus in Anti Aging & Wellness Clinic is your health and vitality by optimizing hormone levels using high quality bio-identical hormones and approved anti aging therapies. We want to provide education on disease prevention and wellness to our patients, so we can help you feeling better than ever. At Anti-Aging and Wellness Clinic we make sure you have an enjoyable and stress-free experience; with enough time to discuss all of your questions and concerns with one of our expert physicians and minimal wait times. Many clinics in the United States offer oral HGH therapy, but it is well known that Human Growth Hormone if taken orally, will be digested and rendered useless. HGH must be injected in the subcutaneous tissue to have all benefits we mentioned. The only HGH products with proven benefits are pharmaceutical grade HGH. According to the FDA, injectable HGH must be prescribed by a physician for approved medical conditions and all other uses are considered illegal. 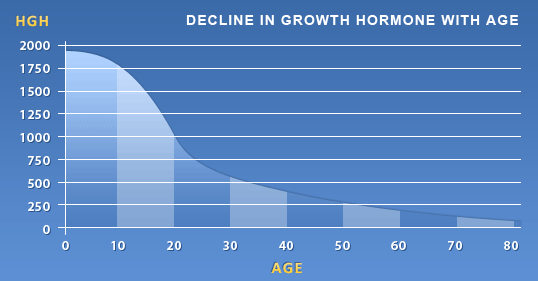 There are strict guidelines defining growth hormone deficiency. If you do not meet the strict guidelines, it is illegal for a healthcare practitioner to prescribed one of the many FDA approved growth hormone products. At Anti Aging & Wellness Clinic you can be sure you are using pharmaceutical grade HGH. Why should I go from Tampa to Costa Rica? Costa Rican healthcare system is rated very highly on an international level, and the country’s citizens enjoy the health and life expectancy equal to that of more developed nations. Also Costa Rica is a natural paradise and a secure place to visit. At Anti Aging and Wellness Clinic we offer better cost, excellent customer service and a great medical care. Costa Rica has become one of the most popular destinations for people from the United States and Europe who are seeking medical care. Enjoy a tropical vacation in one of the most beautiful countries in the world while receiving personalized care that will help you look and feel younger. Let us develop the personalized healthcare program you need. Contact us today!